Anuga FoodTec Cologne, 20.03. – 23.03.2018 | Sulbana AG – Käserei-, Hygiene- und Verpackungstechnik. Visit us at the Anuga FoodTec 2018 in Cologne. 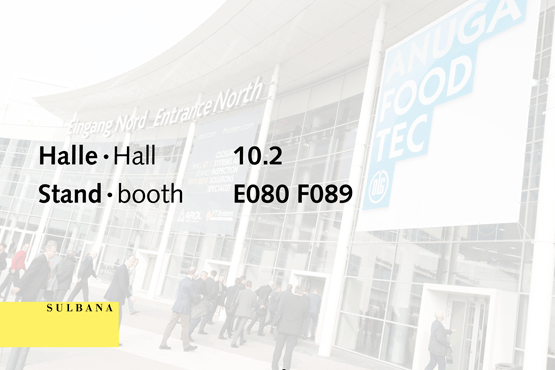 As the leading global trade fair, Anuga FoodTec is the most important driving force of the international food and beverage industry. It is the only trade fair in the world that covers all aspects of food production. We present innovative news from our product area Cheese Technology at our booth n° E080 F089 in hall 10.2.